Veterans from Britain and around the world gathered in London today to see the Queen unveil a memorial to tens of thousands of airmen who died in the Second World War. The Bomber Command Memorial in London’s Green Park remembers the sacrifice of the more than fifty-five thousand RAF crew who lost their lives flying bombers in the conflict. 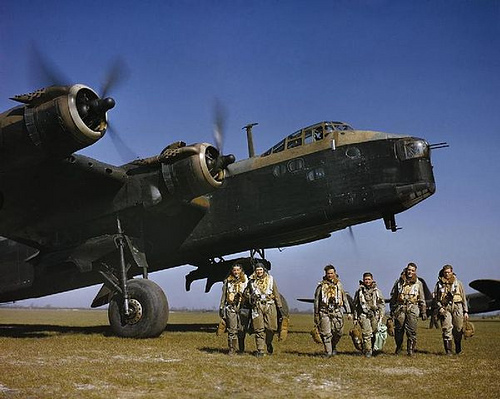 Their role in the war has proved controversial but their bravery has never been in doubt, with bomber crews suffering more losses proportionally than any other branch of the Allied forces. Hywel Davies went to meet some of them.